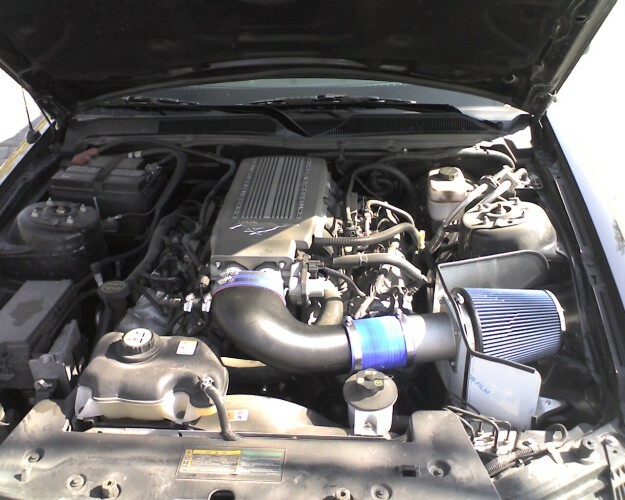 Those who have followed my journal / blog, know that I have a 2007 Mustang GT, which I recently upgraded with Flowmaster exhaust and a Magnaflow X-Pipe. Well, I was expecting it tomorrow, so when my wife called me at work, right after lunch to give me the news, I was beside myself with excitement. 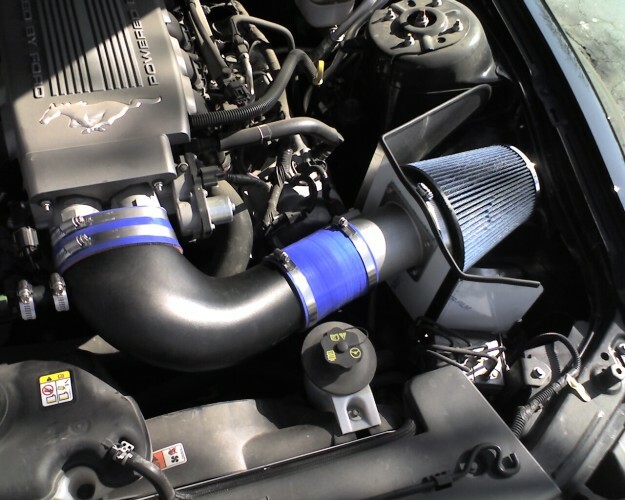 Delievered to our door was my new Steeda cold air intake along with the Steeda inlet elbow. Also delivered was a SCT X3 power flash tuner for my car's computer. Well, needless to say, I couldn't wait to get it installed, so I hopped in my car, and went back home. about 2 hours later, I was driving back to work with a dumbfounded grin in my face. People had told me that a tune with a cold-air intake upgrade would seriously change / improve the sound of the car, but I was way more interested in the power upgrade. Well, I now can totally understand why people emphasize the change in sound just as much, if not more, than the increase in power. I cannot believe the way my mustang sounds now! It's like the whole car has been in a groggy state of being half-awake since birth, and this upgrade has basically woke it up and given it a shot of caffeine! The sound .... well... The best I could do to explain it to you is to record it and attach it to this entry. So, you can click the play button top-right to hear for yourself. The first thing I noticed was the decrease in time for the car to rev up. It now revs much quicker than before. There also is a noticeable *pop* along with a sucking sound when accellerating quickly. I just love it. I've only driven it to work so far, so, I haven't really opened it up yet, but that is sure to come. So, if you're thinking of upgrading to a cold-air intake, or considering tuning your car's computer, with what I know so far, I highly recommend it. I'm sure I won't be changing my opinion when I can get a few minutes to actually drive it, either. I love the sound! I recently just purchased Flowmaster super 44's and a Magnaflow X-pipe. Now that I've seen, heard and read this, I can't wait to get the cold air intake system and have it tuned! Thanks a lot for posting this! Thanks for sharing. I am trying to get around to doing this install on my 2005 GT. It looks good and sounds even better!! I am sold. The only question I had was is the $100 extra for the Carbon tube worth it? while waiting for my Steeda CAI to arrive, I came across your post and now the wait is even harder! Argh! A whole more week before I can install mine. I've ordered the carbon elbow, though. No idea if it will sound differently from the regular one, since I have no way of comparing.